In the example above it happens to work out that the 4H hybrid actually replaces the 4 iron and fills in the gap between the 5 fairway metal and the 5 iron. This does not always happen because manufacturers’ specifications vary somewhat regarding loft angles and club lengths. 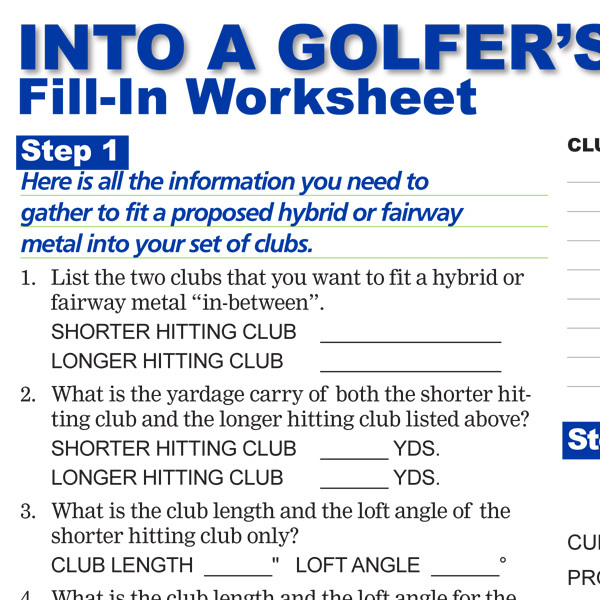 Also, keep in mind that your set of clubs may have custom club lengths, either shorter or longer than standard. 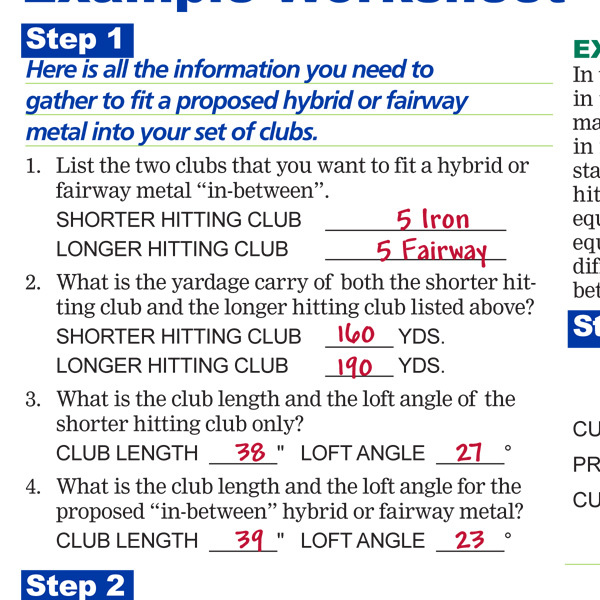 In this example, particularly notice the length difference of 1″ between the shortest hitting club and the proposed 4H hybrid where 1/2″ equals 5 yards, so the 1″ difference here equals 10 yards. Notice the loft difference of these two clubs to be 4 degrees. Every 4 degrees equals 5 yards, so we have a 5 yard difference. If we add up the 10 yards for club length difference and the 5 yards for loft angle difference we get 15 yards total difference in distance between the two clubs. This fits nicely “in-between” our 5 iron and 5 fairway metal.